During the most wonderful time of the year, even expert hosts could use a little help when it comes to holiday entertaining. 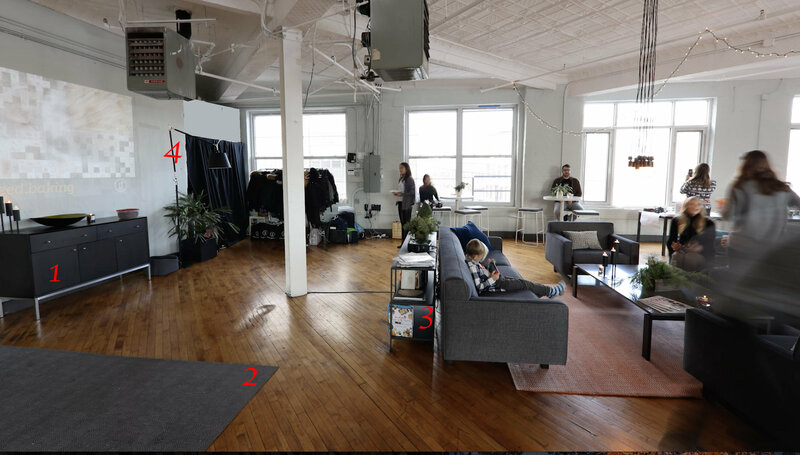 That’s where Sarah Schiear of Salt House Market, a curated e-commerce site for all things kitchen & home, comes in. 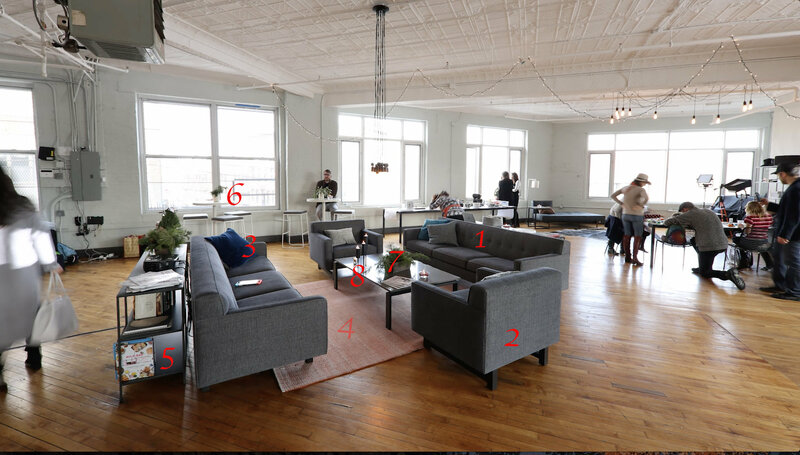 Sarah sat down with our own Julie Resnick of Feedfeed on the cozy Room & Board furniture at FeedfeedBrooklyn to share tips to make your holiday party an affair to remember! See the video below for some of their conversation. Add a little holiday spirit to the air! 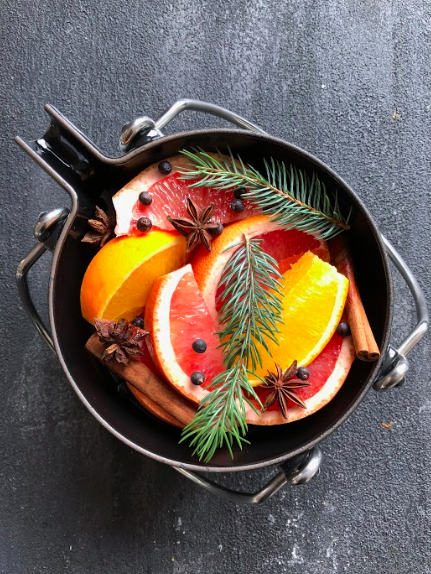 Boil water with fresh citrus, cinnamon sticks and other fragrant items and let it simmer for hours to get your home smelling as festive as it looks. 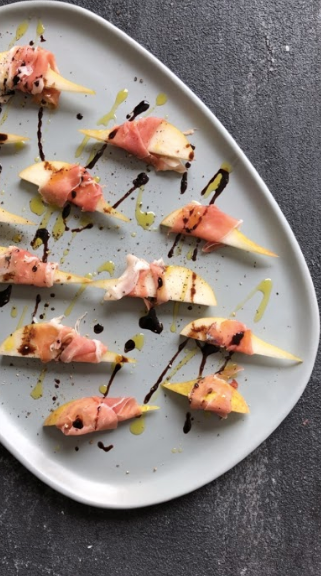 Pears wrapped in prosciutto are the perfect sweet and savory snack, and so easy to put together. To put the finishing touch on your hors d'oeuvres, add a drizzle of oil or vinegar, or a sprinkle of salt. 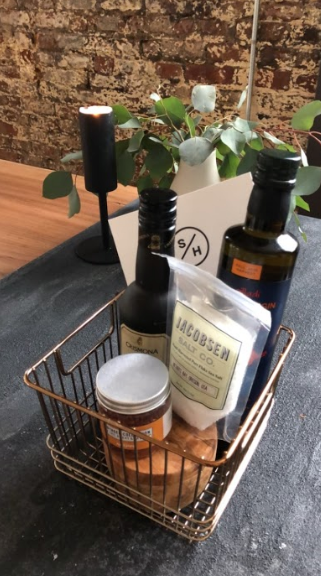 Get the pictured "finishing products above on Salt House Market. 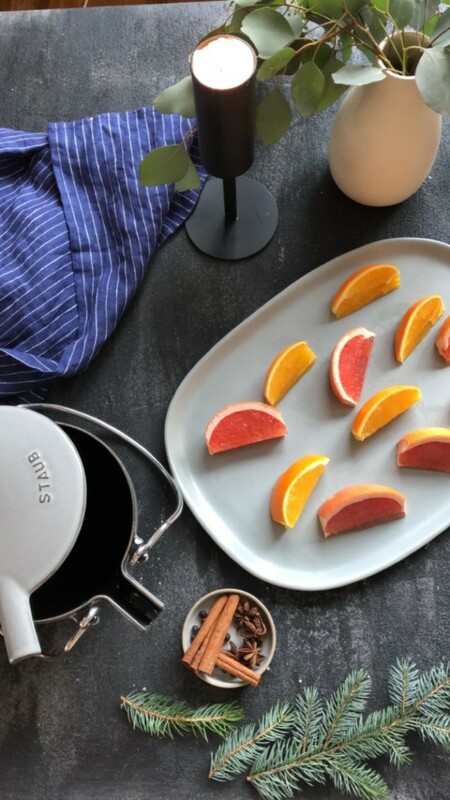 This Nadia Tray from Room & Board adds understated elegance to your dish and is so easy to photograph with its matted finish reducing glare :). When guests ask what to bring to your party, telling them what type of food you’re serving, which will help them select a great bottle of wine. Or tell your guests about your favorite nearby bakery where they can pick up a fresh loaf of bread. Adding decorative vases and votive holders, like the ones shown here from Room & Board, can help liven up your space and make it feel more festive. 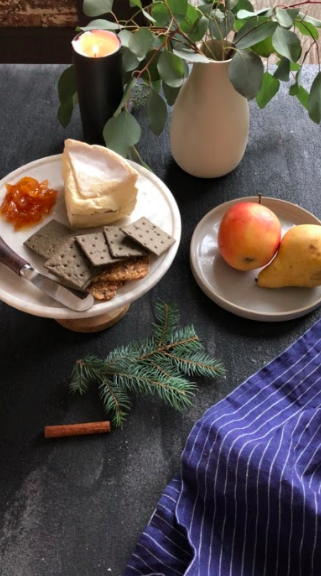 We all know that no party is complete without cheese, but Sarah advises that you shouldn’t feel the need to go all out with a cheese board before a big holiday meal! Keep it simple with just one celebratory choice. Her go-to is Brillat-Savarin truffle triple creme from her favorite Brooklyn cheese shop, Stinky Brooklyn. This cheese is similar to brie or camembert but more luxurious, and it pairs well with a big red or champagne-- perfect for a holiday meal! Sarah also advises to use multipurpose glasses to serve all your holiday beverages in, like these Faceted Crystal Tumblers. Looking for even more last minute seasonal entertaining advice? Buy Sarah's Holiday Hosting Guide, the ultimate, most definitive guide to hosting for the holidays. And don’t forget to check out The Feedfeed Holiday Gift Guide to find perfect presents for everyone on your list this year.